Hello from windy Makara beach at the bottom of the North Island of New Zealand! We arrived here yesterday after 2 days and 215km of biking from Whanganui town. The biking was fairly easy as we had a tail wind most of the way! It rained like hell on the 1st day cycling, to a point where I got very cold. This coupled with the trucks thundering past – 1m away from our handlebars down State Highway 1, made it a unique experience. I had my first puncture after only 20km cycling and had a freezing wet and cold pit stop to change the inner tube on the side of the road. Loving the rain and the vehicles! 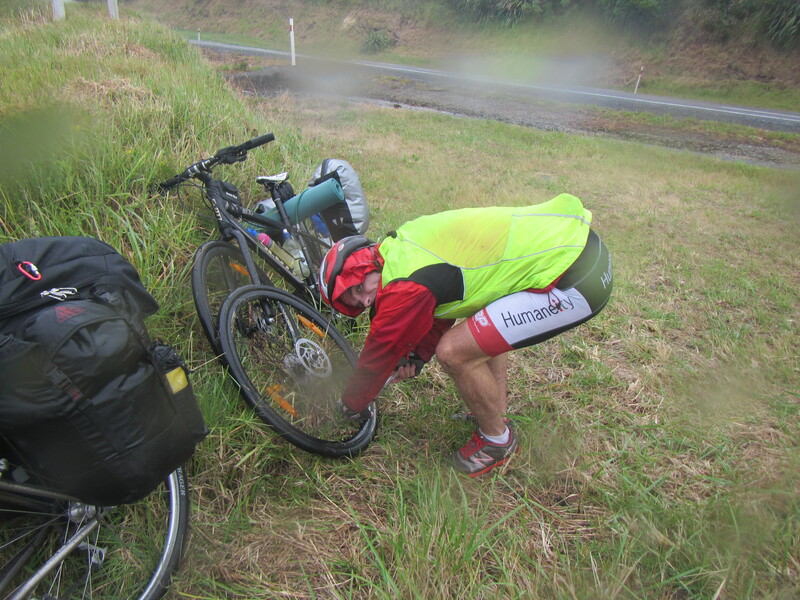 Fixing the first flat tyre in the rain after 20km. 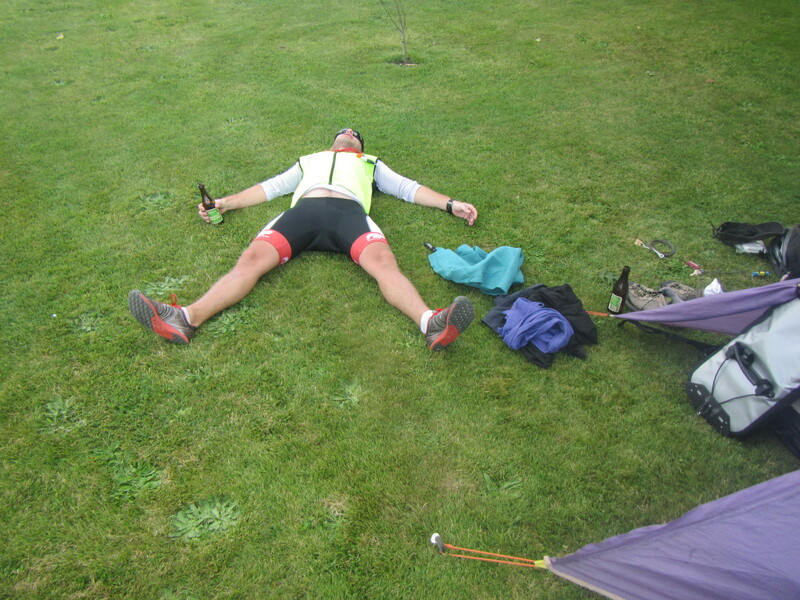 Enjoying a beer in Levin at the end of 110km. Alan enjoying some nice weather outside Levin. Levin was a pleasant one night stop-off in the tent. The most exciting thing that happened was that I ate the hottest Indian Bryani dish I have ever tasted. I spent 30 minutes with ice held against my lips, then 30 minutes on the toilet before I could think straight. The waiter and chef were laughing at me, however I think I got the last laugh. As I left the restaurant he asked “was everything ok with your food?” to which I replied with a very straight face “no there was one problem…… it was not hot enough”. The next day’s cycle from Levin to Makara near Wellington was also with a tail wind, and we blew along very quickly until we reached Porirua. The traffic was getting extremely heavy by this stage but still there was a decent road shoulder to ride on. 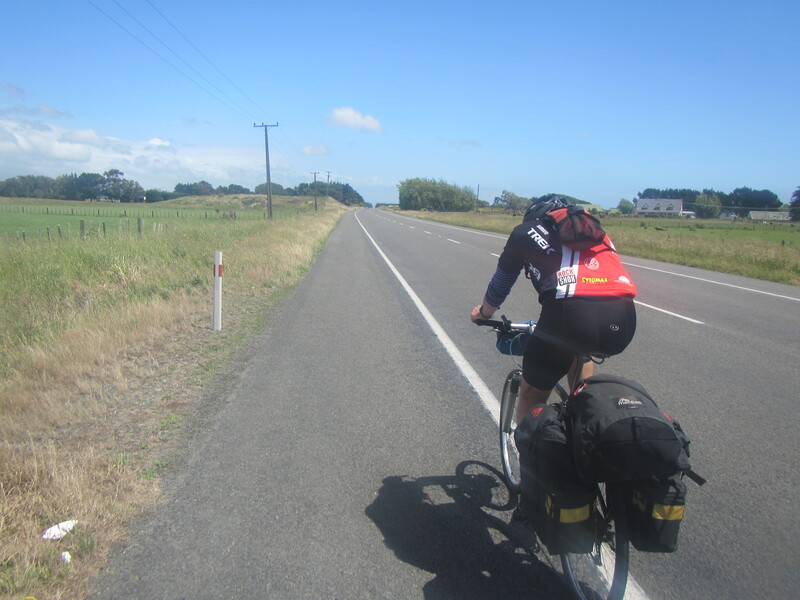 We pulled off SH1 at Porirua and headed on smaller roads through the small town of Tawa and then up, up and over a HUGE hill followed by a nice roll down the other side to Makara. We stayed at the Makara B&B, which is run by host’s Christine and Pat. They cooked us a delicious BBQ dinner of fresh Paua, Steak and chicken, washed down with crisp NZ wine. A wonderful evening. If you ever pass through Wellington and want to stay in a beautiful, quiet and peaceful setting, only 20 minutes from the city with lovely hospitality stay here! The next stage of our trip is one of the hardest and most dangerous. Sea kayaking across the Cook Strait. The Cook Strait is a notoriously rough, windy and fickle stretch of water with huge tidal streams (i.e currents). It is a serious stretch of water for motor vessels, let alone tiny kayaks. We always knew we needed a weather window of low wind speeds, a clear day and low swells to even contemplate this crossing. The weather changes so fast in the strait that even the weather forecasts are fickle and often proved wrong. We are working with Tim Taylor from NZ Kayaking for this section. Tim has driven down from Tauranga and supplied the kayaks and will paddle across with us. 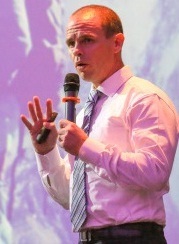 He is very experienced and we feel in very capable hands with his support. 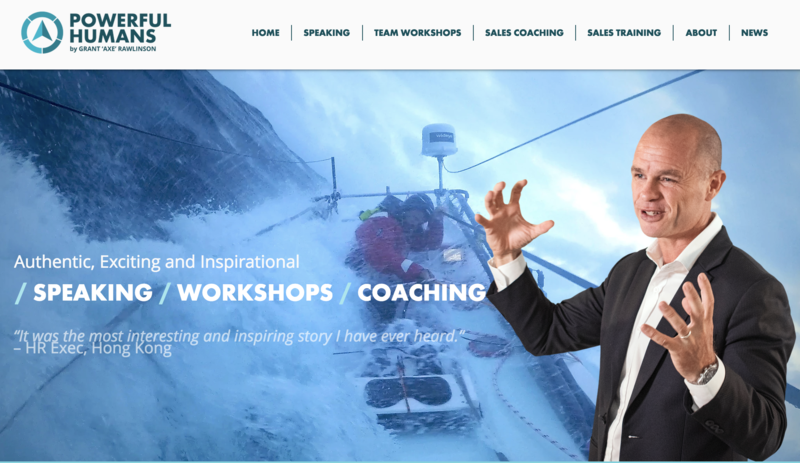 We will be carrying EPIRB emergency beacons, Marine VHF radio’s, Satellite Phone’s and the SPOT messenger tracking our progress every ten minutes. We will not have a support boat with us. So the plan is to punch hard as possible across the strait, starting at 4:30AM and try and get into the sounds before lunch. Wish us luck! Today we also did a small presentation to the local Makara primary school, got interviewed and photographed by the DOMINION newspaper (thanks Paul! 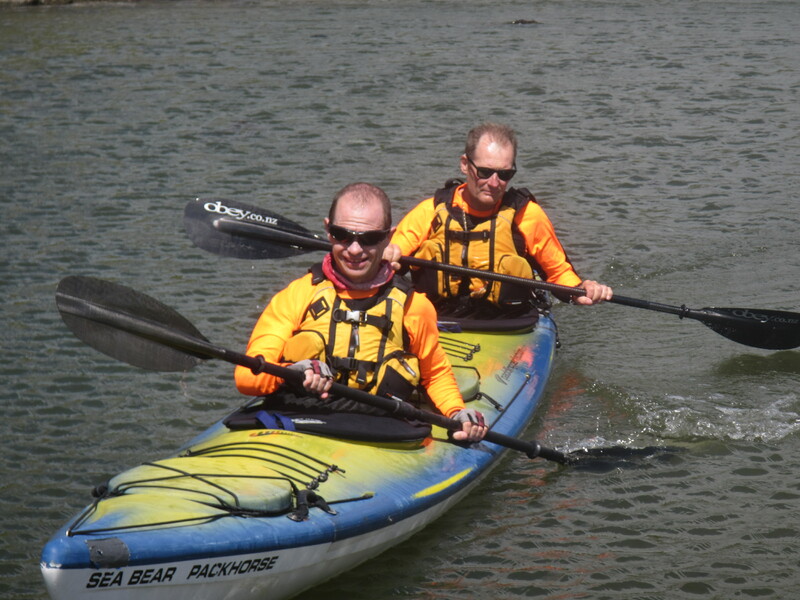 ), tested the double kayak out, and will hand our bikes over this evening to my cousin Liz and her partner. They have very kindly offered to pop them on the BLUEBRIDGE ferry tomorrow to send them to Picton – thank you Bluebridge for your support! And thank you Liz and partner for your awesome support also! 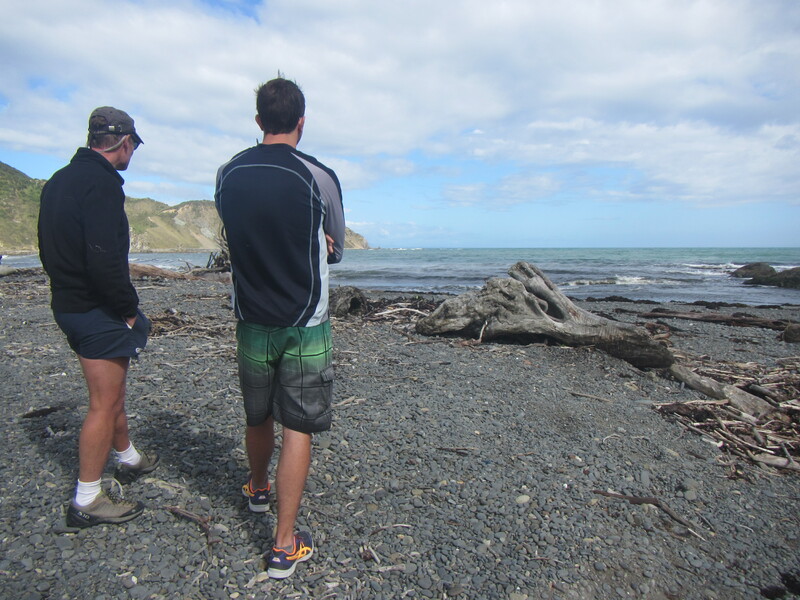 Tim Taylor from NZ Kayaker and Alan Silva at Makara beach this morning – scoping the route out across the Cook Strait. 27km to safety on the other side! A trial paddle off Makara beach this afternoon. 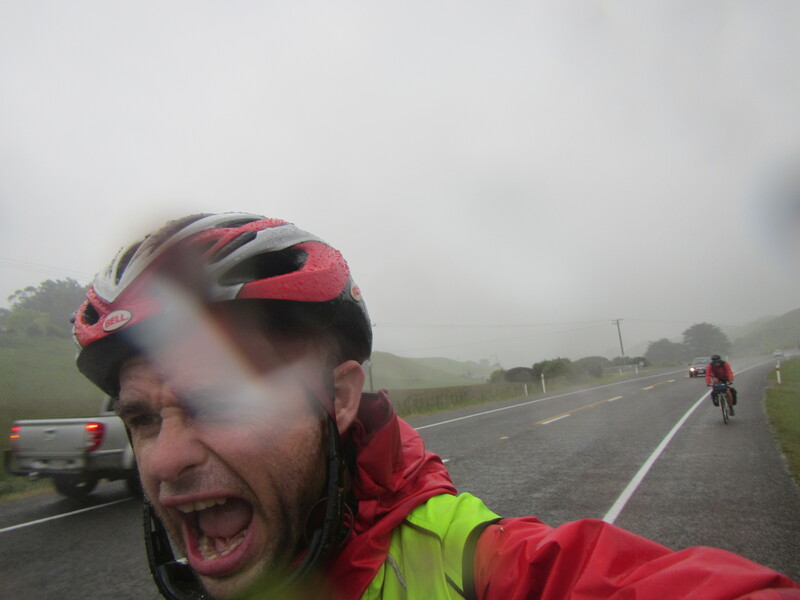 That’s all for now – the next time we report in, we will either have crossed the Cook Strait…..or not!